The smart fortwo cabriolet electric drive is a rear-wheel drive, all-electric, two-seater drop-top; if this is what you’re looking for, you’re in luck, but it’s certainly a niche choice. Surely a very niche choice? Smart has been persevering with the two-seater fortwo in petrol form for a number of years now, and we now have the second incarnation of the electric drive model. In theory, a small city car with a pure electric powertrain is the ideal form of urban transport. So is this the case in practice? 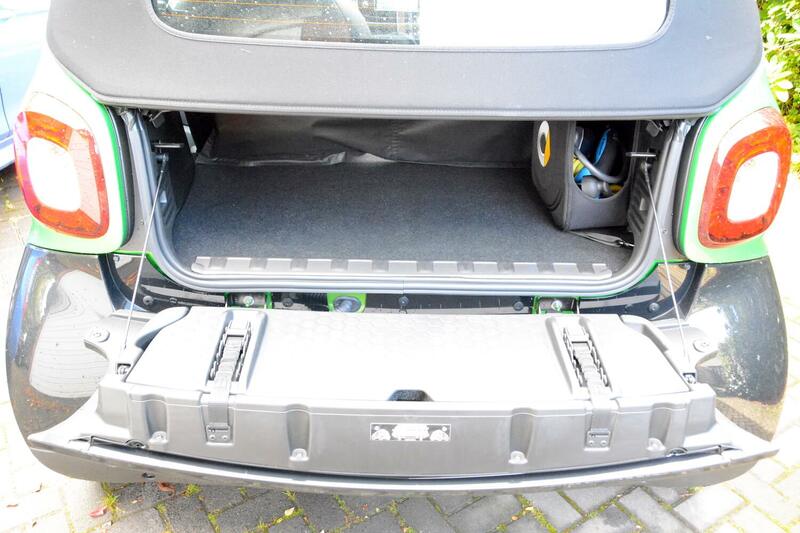 The smart fortwo cabriolet electric drive has a very similar appearance, inside and out, to the petrol model. Of course it’s just a two-seater, but even in cabrio form it does have a boot (260-350 litres), and you can drop down the passenger seat back if needed, so although it’s compact on the outside, there’s actually quite a lot of space inside. The electric drive version ditches the petrol engine for an electric motor powered by a lithium-ion battery. 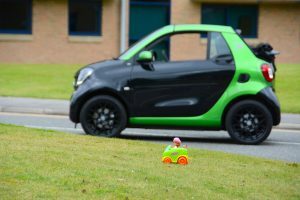 The smart fortwo cabriolet electric drive experience starts by putting the key in the ignition and turning it, which feels decidedly old-fashioned for an electric car, which you would expect to have some form of futuristic starter button. Then it’s likely that you might want to adjust the steering column. However you’ll discover that the steering column can’t be adjusted – either for reach or height. We’re struggling to think of many other cars where this is the case. 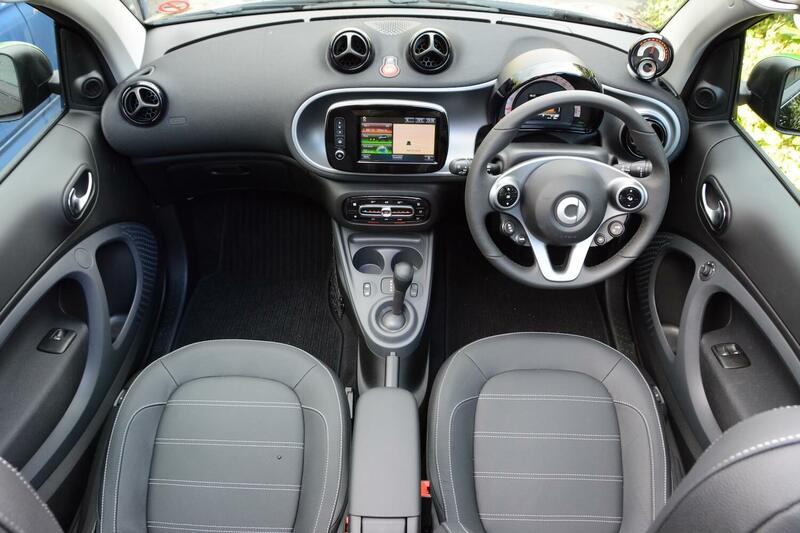 However the interior design is at least a bit more fun than some other city cars or superminis, the instruments are clear, and the battery gauges are more accurate than the fuel gauge in the petrol fortwo model. There’s also an analogue power gauge, which replaces the rev counter. In the digital display you can get a split of power consumption for the traction motor compared to heating, ventilation, radio (combined) and overall energy consumption in one minute segments over the past 15 minutes. 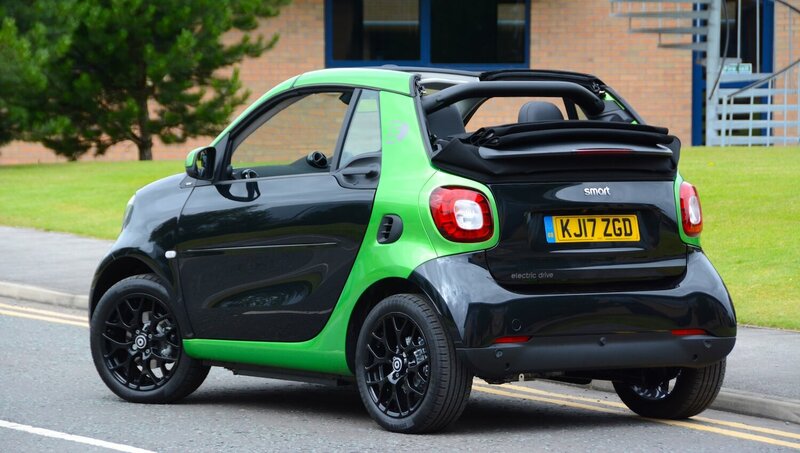 Once you’re underway then there’s certainly an element of fun in the smart fortwo electric drive. There’s smooth and almost silent acceleration like other electric cars, although the initial response isn’t as instant as most other EVs, and the rate of acceleration does tail off at speeds over 50mph. With rear-wheel drive (don’t be expecting power slides, as the ESP is quick to cut in), a short wheelbase and a low kerb weight (1115 Kg), it’s like driving a dodgem car (even with the battery weight low down, we’re not sure that the height v width ratio of the car qualifies it for the description of ‘go-kart handling’). 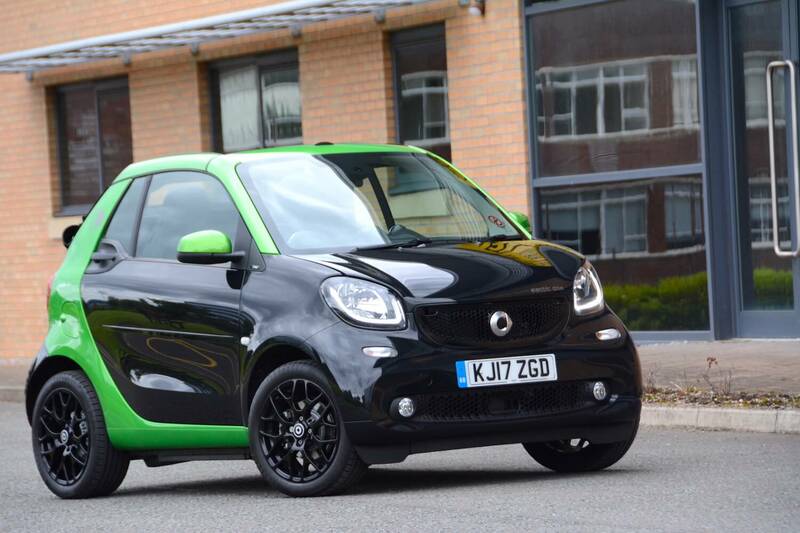 The dodgem sensation is further accentuated by the fortwo’s amazing 6.95m turning circle. You can pretty much turn the car around in any road in one go. 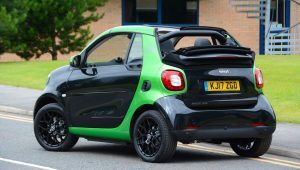 The single-speed transmission mated to the electric powertrain is much better than the DSG ‘box in the petrol smart fortwo (which itself is much better than the transmission in the previous generation fortwo). However you need to be aware that there’s an automatic creep function so it’s harder to shuffle around at parking speeds than it should be. The previous generation smart fortwo electric drive had steering wheel column-mounted paddles which could be used to alter the rate of brake regeneration, but this useful feature appears to have been ditched on this new model. The smart fortwo doesn’t have great ride quality – something that isn’t helped by the short wheelbase. And the structural rigidity is poor, there are rattles with the roof up, as well as external noise, and there’s even more noise, together with buffeting, with the hood down. In terms of the infomedia system, it’s certainly an improvement over the previous generation model, but to get to the ‘home’ screen, you have to press the home button, then press the ‘menu’ button, in other words too much unnecessary button pressing for our liking. 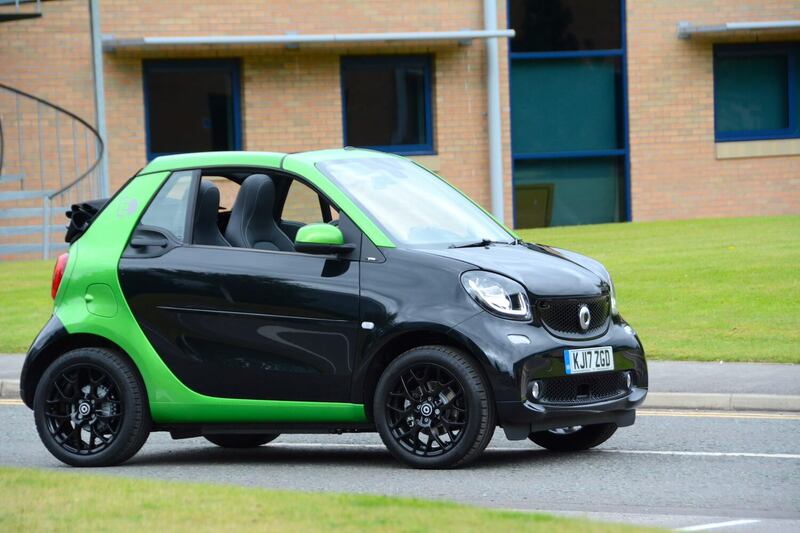 The official NEDC range of the smart fortwo cabriolet electric drive is 96 miles. Our view is that any electric vehicle needs a real-life range of at least 100 miles to make it viable for anyone other than EV evangelists, so the fortwo has already fallen at the first fence. However things get worse: over a week in real-life driving, the fortwo was averaging only around 60 miles of range. We appreciate that this is a car designed for urban use, and you can’t physically fit a large battery in the car’s diminutive structure, but you really are limited as to where you can drive without recharging within only a 30-mile radius. 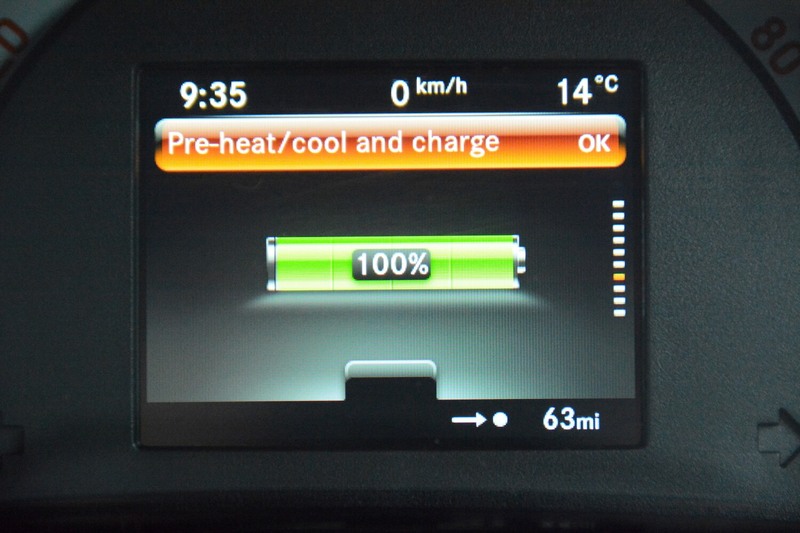 There’s an ECO mode which stretches the range towards the 96 mile official figure if you drive the smart very carefully, but by doing this you lose out on the responsiveness of the electric powertrain. 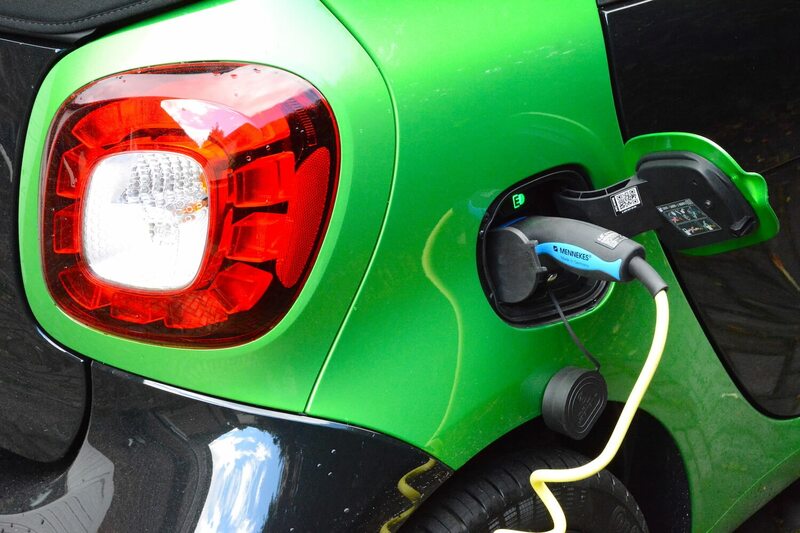 The smart fortwo electric drive has zero tailpipe emissions of course, which is ideal to help in the push for improved air quality in urban areas. The smart can only be charged at a maximum rate of 7kW, but thanks to the small battery (17.6 kWh), a 20% to 100% charge only takes 2.5 hours. The smart fortwo cabriolet electric drive costs £19,155 after the UK government’s plug-in car grant. Our test car had the options of the electric drive design package (£595), winter package (£295), and the premium plus package (£595), taking the total price as tested to £20,640. For a car that only has a real-life driving range of 60-100 miles (and that only has two seats), this is likely to be seen by many people as expensive. The coupe fortwo ED is more reasonable at £16,420 after the grant. The forfour ED, which is more practical, and would be our choice, is £16,915. Thanks to its zero emission electric powertrain, its compact size, its amazing turning circle, and its swift 0-30mph acceleration, the smart fortwo electric drive is ideally suited to urban use. The cabriolet version adds the fun factor of open top motoring. However you pay for the privilege; at almost £20,000 after the plug-in car grant, you don’t get much car, or driving range, for the money. 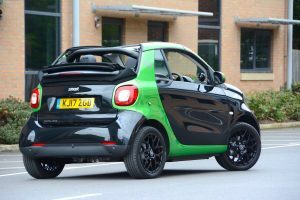 So it has to be concluded that the smart fortwo cabriolet electric drive is a niche choice. It’s to be applauded that smart offers such an option to broaden the choice of EVs; but taking all factors including practicality and value for money into account, it’s difficult to award the smart fortwo cabriolet electric drive with anything higher than a Green Car Guide rating of 7 out of 10.